Let me start off this lesson recap blog post by noting two very important things. 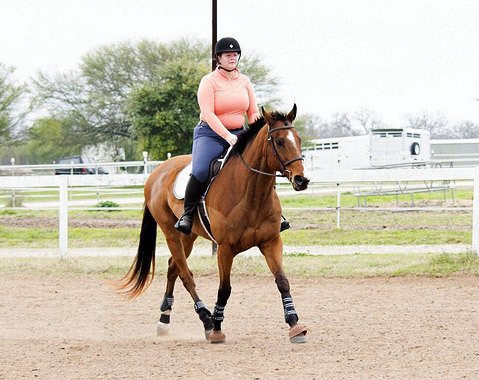 One – my trainer said that if we had been able to ride consistently for the past two months, we wouldn’t be having any of the problems we’re having. 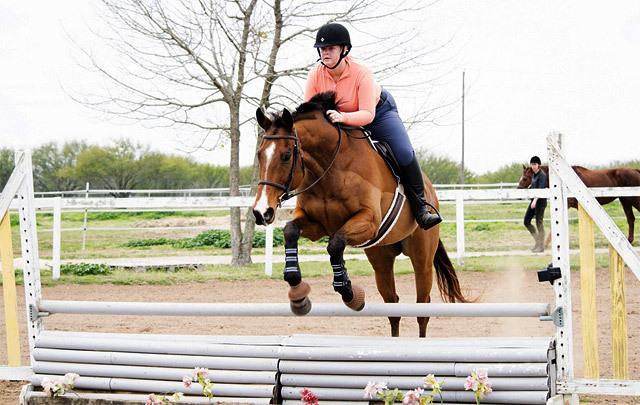 Two – a barn friend’s boyfriend took pictures of our lesson, and he’s basically the best person ever. I owe him brownies. With that being said, I’m going to keep this on the shorter side today for a few reasons. I can mostly distract you with pictures, I have a lot of blog related emails I need to catch up on and if I write too much I think I’ll get pretty negative. 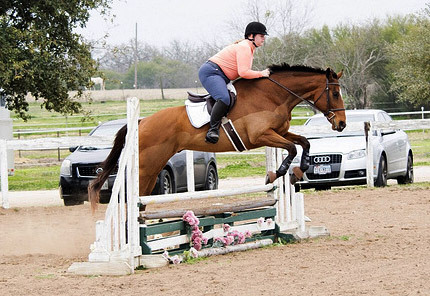 I wish I could tell you that I felt super prepared for the show this weekend, but what I do feel is that each jumping lesson we have gets a little better. 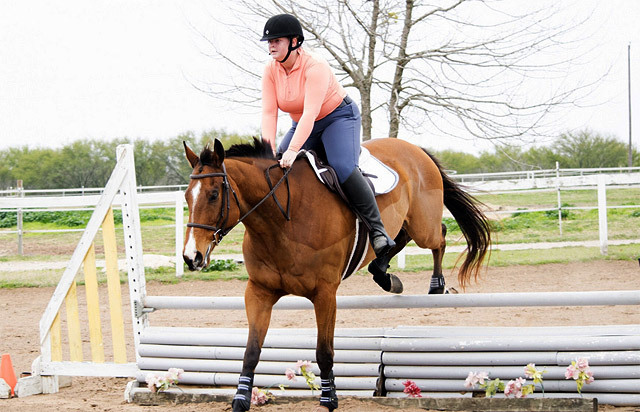 Also, my horse is really game and happy to be doing hard courses again. We started off the lesson with a simple set of three, and I felt like my goals today were to sit up and keep a nice forward pace. The forward part was mostly successful. 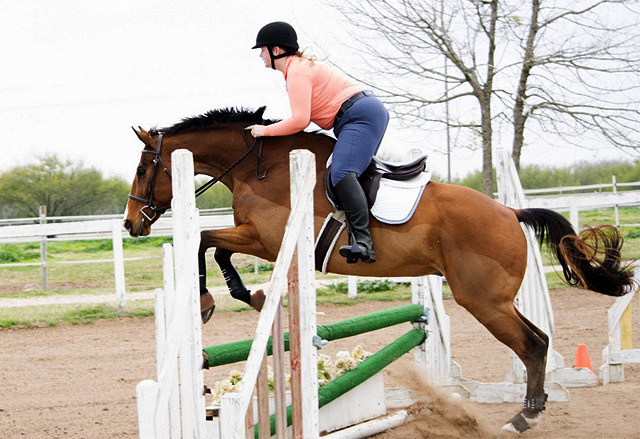 Unlike our last jumping lesson, I didn’t freeze at any of the bigger fences and let him totally peter out. Progress! After that we had a problem with him wanting to be really heavy approaching the jump. Instead of sitting up and supporting him, I would just drop him and we had some ugly jumps. I had to take a moment to get my head in the game, because I have mental problems. Third course I did a better job of holding him up, but we had a crazy case of the zig zags. 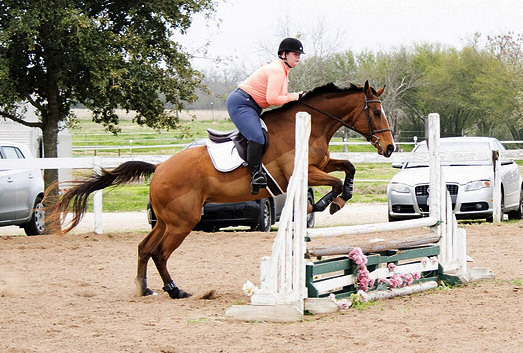 Simon likes to jump left over fences anyway, and when he wants to add a stride (and I subconsciously approve of this decision because leaving long is scary) he will zig or zag. Add a super twisty course with a lot of roll backs and bending lines and a rider not giving clear direction, and the zig zags were pretty extreme. Pictures do not display zig zagging. This is what adding looks like. So after a terrifying course of, “LEFT NO RIGHT NO LEFT NO AHHHH” I got quite firm with my “STAY STRAIGHT YOU NUTTY HORSE” aids. This is to say that I wasn’t perhaps as soft as Simon would have liked, but we did stay a lot straighter over the jumps and have some nice moments. My right rein is tight in every picture. This may be a new pattern. Rome wasn’t build in a day. Or in my base, re-built in a day? don’t beat yourself up too much about the show this weekend- just take it as a learning experience! Simon does REALLY love to jump, you can see it in his face! 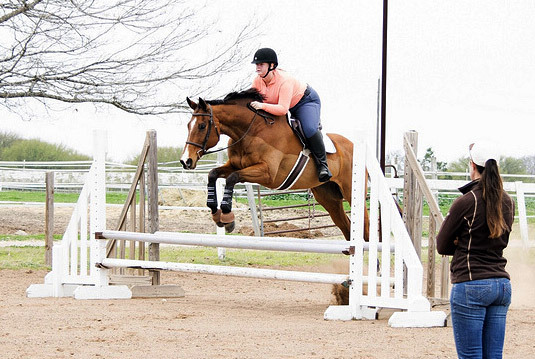 Wiz likes to lean left over jumps too… something I need to start working on once he’s back in work. 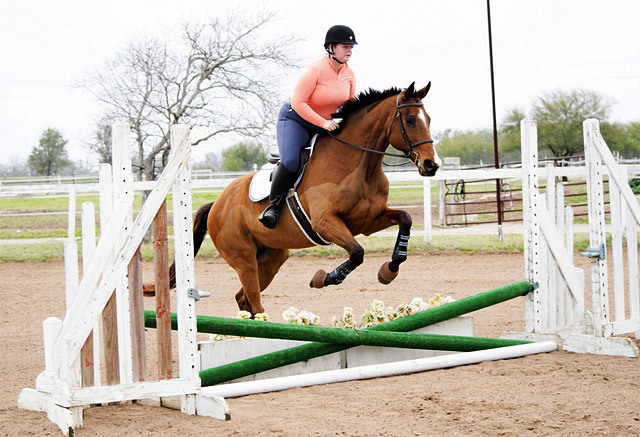 I like doing grids and putting poles down on the ground before and after every jump to create a “chute” to keep him straight through the jump. Helps their muscle memory. Or to use the poles to create a “v” on the fence, so they jump the center. 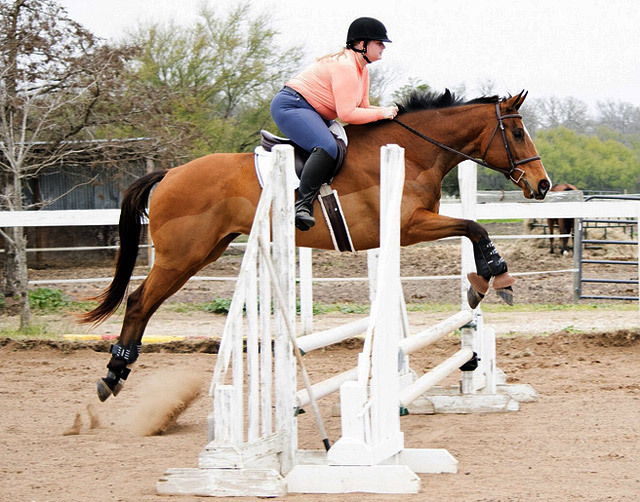 I don’t remember doing many grids as a hunter/jumper, and I’m not sure why we don’t do them more because they’re so great!! you both look much better than you give yourself credit for 🙂 keep up the progress! Your thoughts about the show are 100% correct. It’s for fun and experience! As for grids, we typically do a gymnastic lesson 1 out of every 3-4 lessons… which is fabulous. I’ve just gotten lazy letting him get away with the left thing lately, and I think old habits are coming back due to us not being in consistent work for a while. I agree with Lindsey, I think you look better than you think! 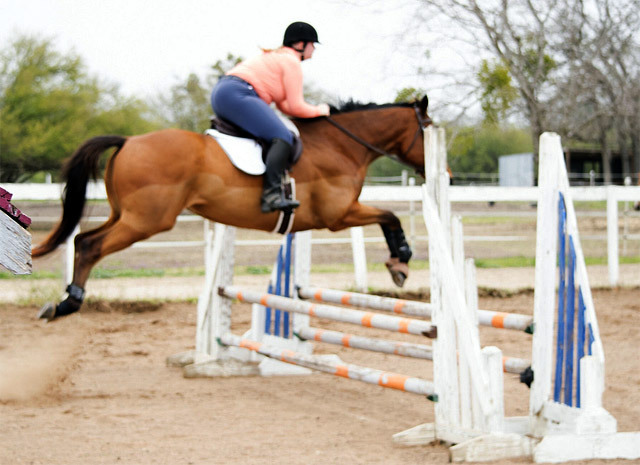 Also, the last photo with the green wrapped poles- you guys look so focused, and he’s jumping so well, I just love it! LOL this is excellent advice! Simon looks SO SUPER PUMPED! And that’s always good! You got some very cute pictures! 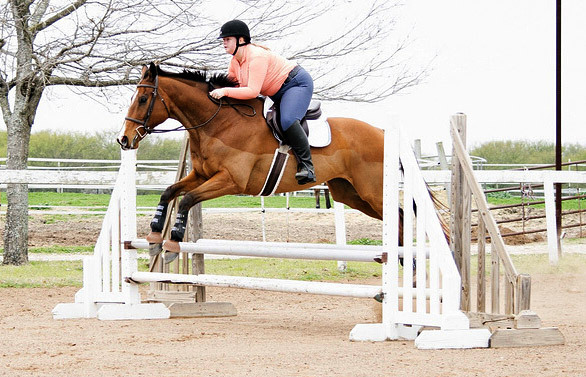 I get the zig zag thing, it is his smart way of making more room in front of the jump so he can add without working harder by compressing! It really is. He is smarter than I give him credit for sometimes! Agree with everyone above, you don’t give yourself nearly enough credit. There are a bunch of pics there I’d be very happy with! You’re going to do great. Go out there and be proud of yourselves. my right hand needs to talk to your right hand bc we have a serious left drift issue too that i’m somehow incapable of addressing lol. for real tho – the pics look great and i hope you have a fun and confidence building show experience!! It’ll all come back to you in no time–you guys have a good excuse for being a little rusty first time back. 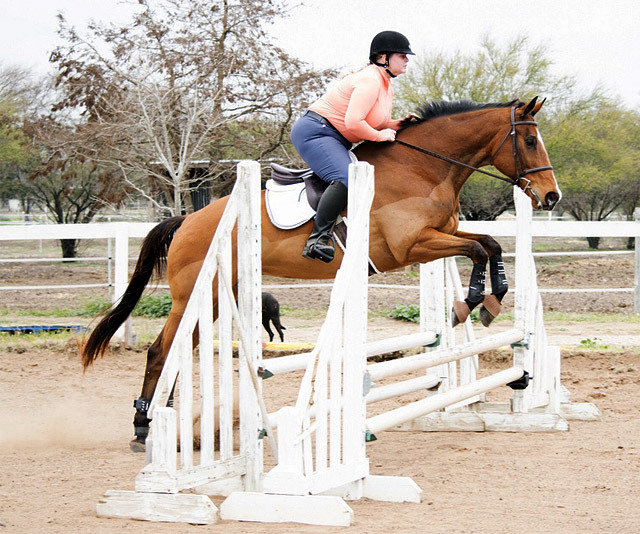 Who can jump a course perfectly after not jumping consistently for two months? And I just have to say that I’m really loving your outfit. Peach and blue=swoon. Thanks 🙂 I believe this will be one of my show outfits because it’s super comfortable, and one of my new goals in life is to try and make my show clothes feel like pajamas. Simon looks lovely! Good luck at your show, can’t wait for the report! Agreed – first show of the season, just take it for what it is: a learning experience and practice. If it goes awesomely, then great!! If not, eh, it’s just the beginning of the season and you have the whole rest of the year to practice and keep improving! Maybe my right hand can date your right hand. They clearly have a lot in common. And hey, maybe it wasn’t quite the lesson you wanted going in to the show, but omg Lauren, your position is fantastic in almost all those pictures. 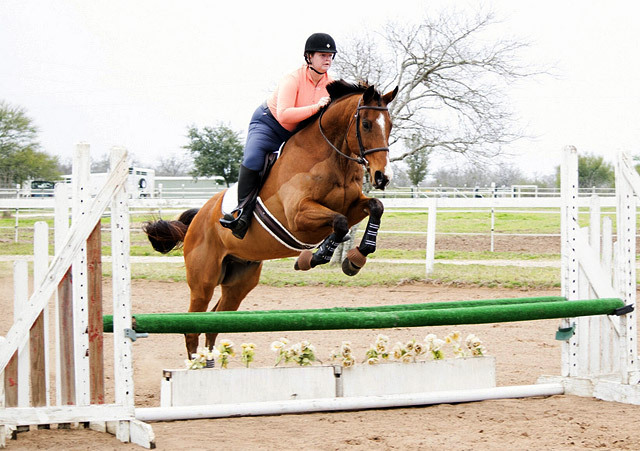 You’re consistently giving your horse a solid, sympathetic ride and he is taking you to the jumps, if not always on the line you might prefer. I agree with the others. You guys look way good, even when you look “bad”. I think you will have a fun show if you keep this up! Ha ha, like the base pun at the end. Love the pictures even if you had some rough rides getting to them. But improvement is improvement, even if it’s by painfully small amounts! Look at his sweet face- you can tell that Simon really loves his job, and you guys definitely make an awesome team! Fortunately knocking off the winter dust will happen with more time! I think you guys look/seem fine. Have fun at your show! Also: pants. Those look like TS and I love the color! (TS are my obsession). Simon’s super cute in his trace clip! This completely cancels out any ickiness I can see. Good luck next weekend!!!! Simon is so cute! He looks like he loves to jump. Great pictures! I agree with the rest of the comments-you are being really hard on yourself. I feel like you two are WORKING on something in all of these. That’s a huge part of riding. You should be proud of that. Don’t be so hard on yourself it’s still winter. 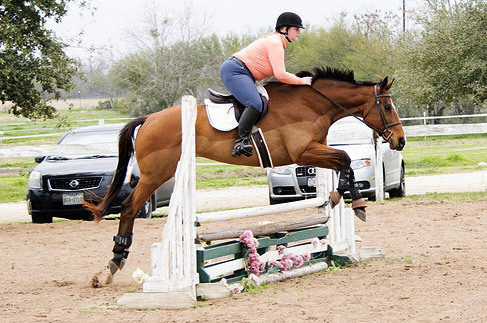 So if I’m thinking properly, because I’m kinda in gonna die mode when I jump, my trainer usually has me open the right rein if she’s drifting left,not just pull tight. That way left holds movement and right is encouraging movement that way. But shoot it’s been like 6 months since I did anything. 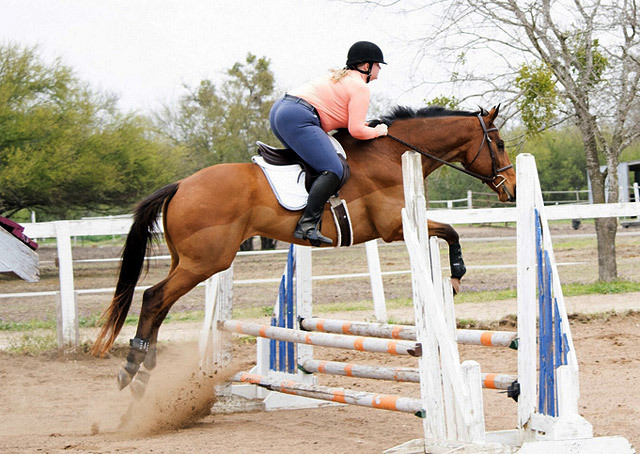 I’ll be happy to make it over trot poles at this point. You look solid and Simon looks revved, that’s a win to me. 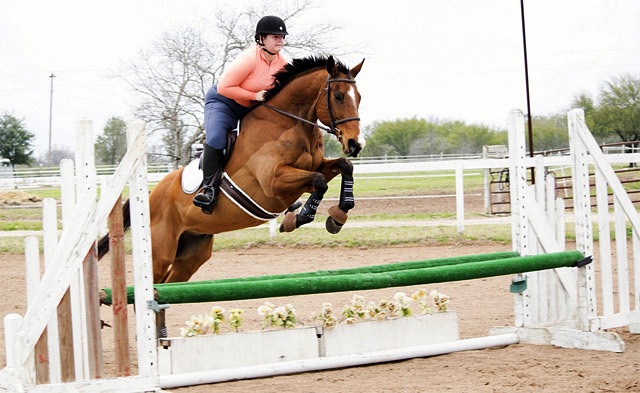 I’m no jumper, but will say your horse looks like he loves to do it! And I also love those blue breeches!! Just wondering out of curiousity because I’m also doing a H/J show in Texas this weekend, which one are you doing? Simon looks like he’s having a blast! You are going to rock this show! This is a totally off question, and feel free to tell me to get lost… It seems like time off (which is inevitable and happens to all of us!) makes you back off mentally. Have you ever thought about going to see a sports psychologist or a psychologist who specializes in confidence during the times you are coming back from a break or when you’re working on something challenging? A lot of insurance programs cover psychological visits, and you might get some great tools to help you out. You guys are clearly on the right track training, position, and level-wise, so it seems that all you need to really be successful is that sweet-sweet confidence. It’s something I’ve considered, but not seriously enough. Doing some work on my mental health in general and am not ruling this out for multiple reasons 🙂 Good suggestion! Just like riding a bike, you’ll have your groove back in no time! 1st show of the year is always the throwaway show to get your groove back =) just remember to HAVE FUN! I’m cheering you on!! LOVE all of the photos. And really love that shade of pink/salmon/whathaveyou on you! !